The Corgi Engine has been out for more than a year now, and it's already been downloaded by thousand of people, and a lot of games using it have already been released on Steam, the App Store, Google Play or other places. Here are some of them, as well as testimonials from people using it. The asset comes packed with more than a dozen examples, in different game styles, handcrafted by More Mountains to act as examples of how you can build your own game. But the asset is also being used right now by tons of happy game developers, working on their own unique games. Here are a few of them. Don't hesitate to send yours and we'll feature it here! 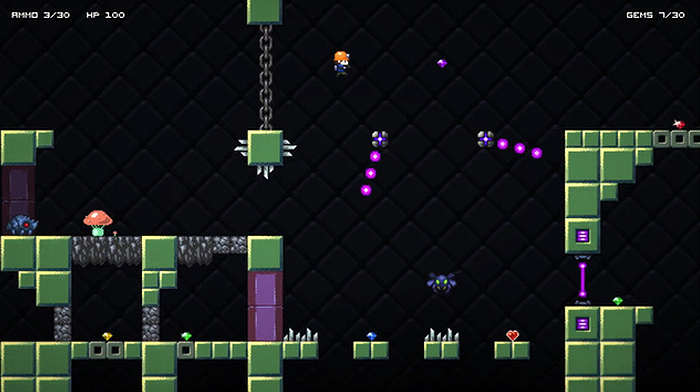 No Time Left is a hard twitch platformer made for mobile and mobile only. 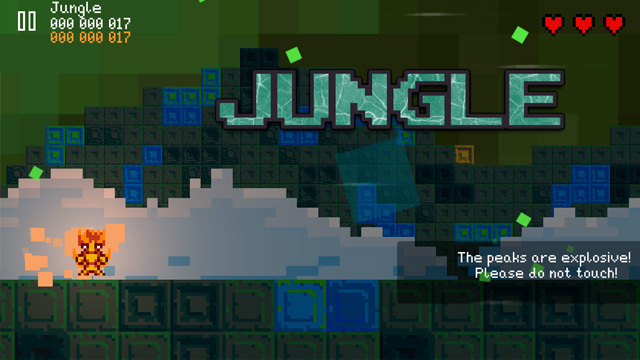 Player needs to complete procedurally generated levels before timer runs out. Run fast, dash and complete the levels before the timer runs out. 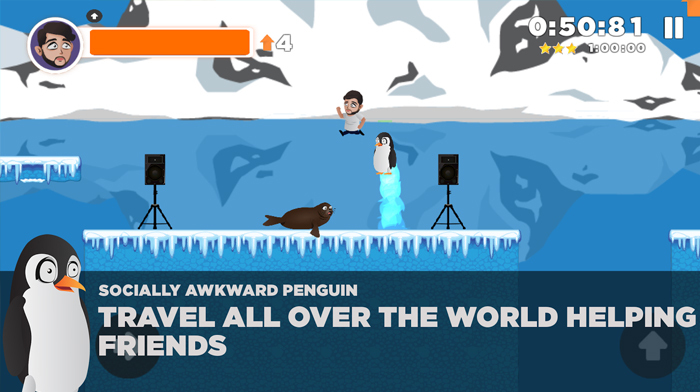 You can get it on the App Store. 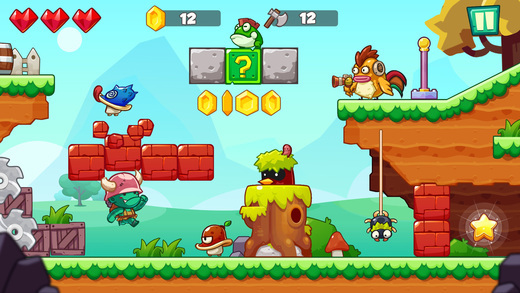 Swaps and Traps is a very inventive platformer where whole parts of the world swap, turn and flip to create a unique adventure. It's available on Steam. 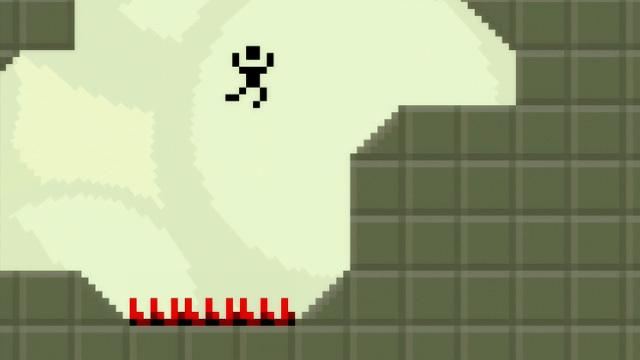 Crazy Dreamz: Best Of is the first Steam platformer whose levels are built by its community. You can get it on Steam. 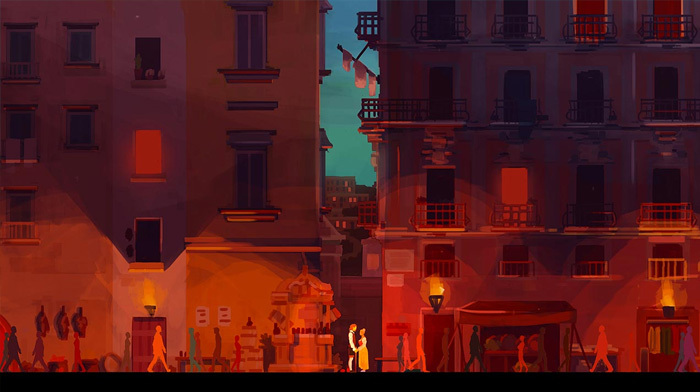 Father and Son is a truly beautiful, exciting and timeless journey between Naples, Pompeii and Ancient Egypt, spanning different historical periods. You can get it on the App Store, Google Play, and learn more about it on its website. Pixel Dungeon is a game created by Ordnas and available on itch.io. 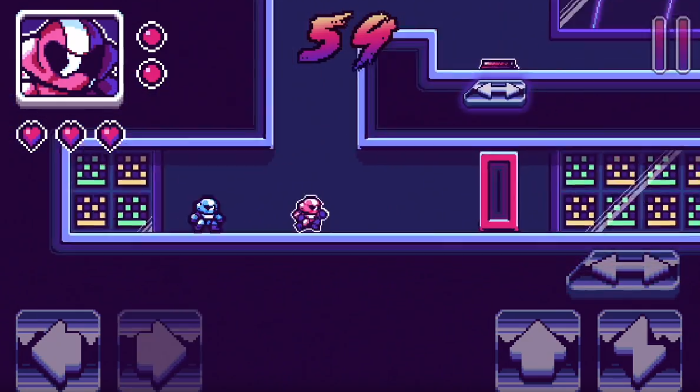 Synthwave Escape is a Retro Rhythm Puzzle Platformer game with an 80s inspired Synthwave Soundtrack & Aesthetic. Join Doc Grits' team of robots as they attempt to escape the Neon Bunker and defeat the heinously infamous Red Hawk. Get it on the App Store or on Google Play. Suppressed is a visual novel and 2D platform game that got greenlit and is now available on Steam. 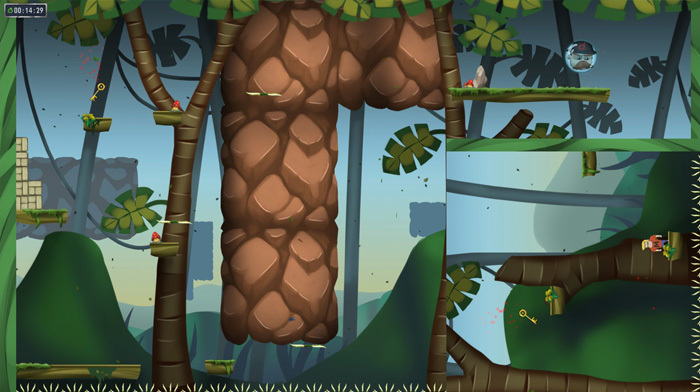 Jungle Adventures World is a super adventure of Zog, a jungle boy want to become a treasure hunter. One day, Zog found an ancient map in the warehouse of his grandfather, it leads to the super jungle world. 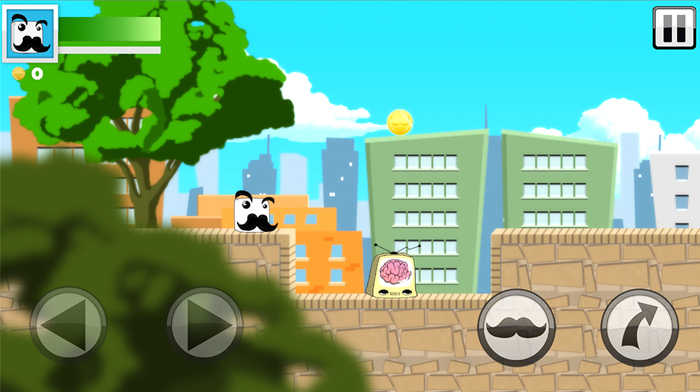 The Adventures of Tacheman is a quirky platform adventure where you play as four awesomely moustached heroes to save the residents of Motropolis. OP Delivers is a hilarious new take on the classic 2D puzzle games we grew up with. Shaped by internet culture, OP Delivers is as addicting as it is funny. Run Run Little Pix ! is an 8-bit game where you will need rhythm! How far are you able to go? Several universe and game modes await you! Be as responsive as possible! 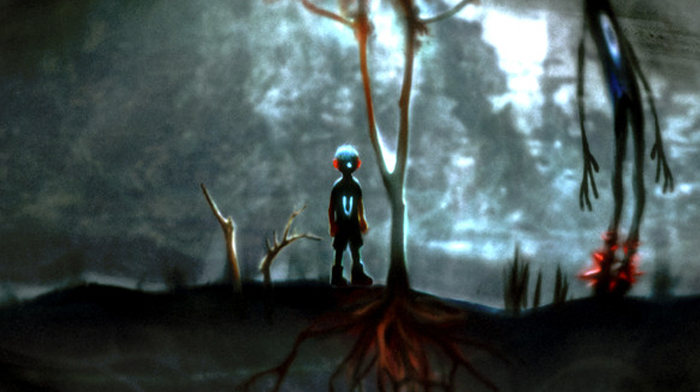 Xenocave is a mix of Mario, Ghosts & Goblins and Metroid, right now on Steam Greelight. 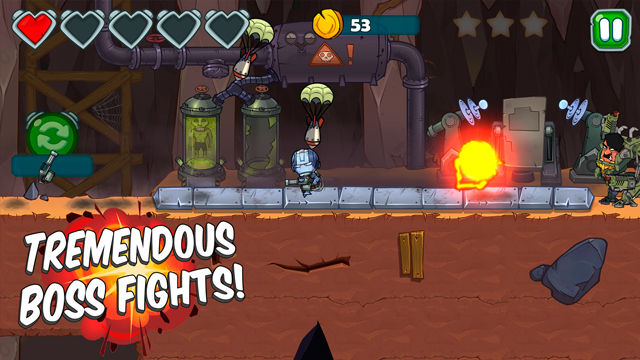 Bugs 'N Boo Hags is a 2D single-screen arcade style platformer with tower defense elements, an 80s pixel-art look, and original chiptune music. 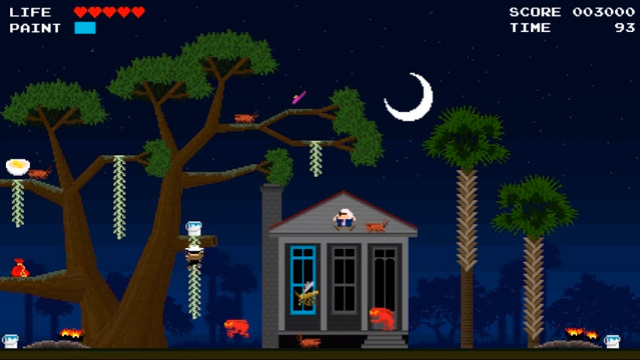 Both the graphics and gameplay are inspired by the history, culture, and folklore of the South Carolina lowcountry region, particularly in and around the historic seaside city of Beaufort and the surrounding Sea Islands. It was featured at PAX South 2016. Pix is a small game created by PixelAfterPixel for the LowRezJam 2016.
shape, LeSS is A game about a kid named LESS, who can shapeshift for a little amount of time to collect all the other atoms around to be able to survive and help his family. 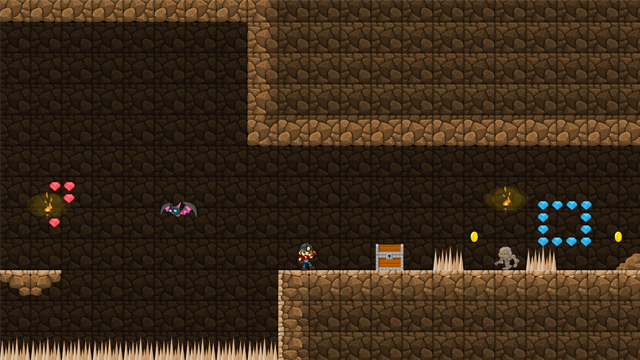 In Treasure Hunter you'll need to find keys to open chests and dig stones to find Crystals, use dynamite and axe to kill your enemies. 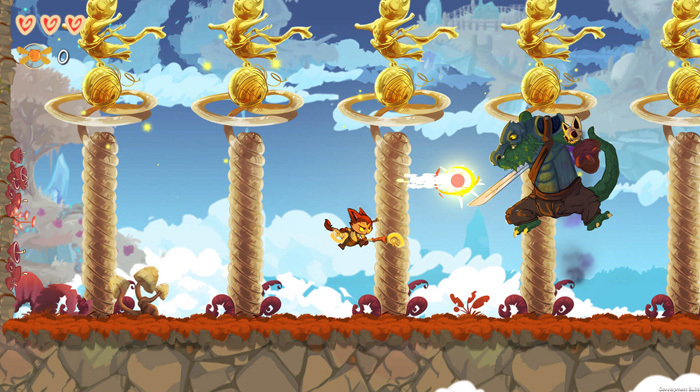 Go Mark's Run is a beautiful game by Da Viking Code, available on iOS and Android. Get it on the AppStore or on Google Play, or watch the trailer on YouTube. 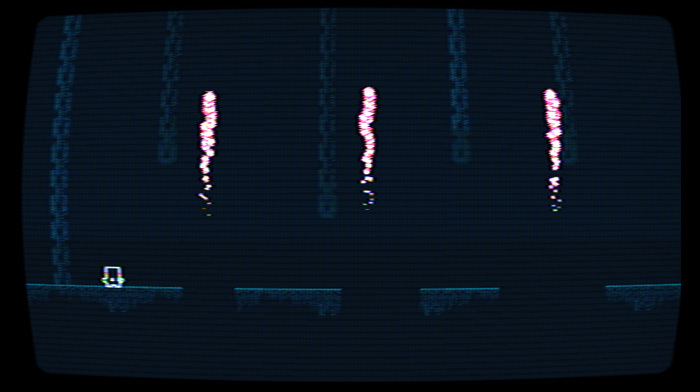 Atomic Cathode is a spooky retro platformer available in HTML5 on itch.io. 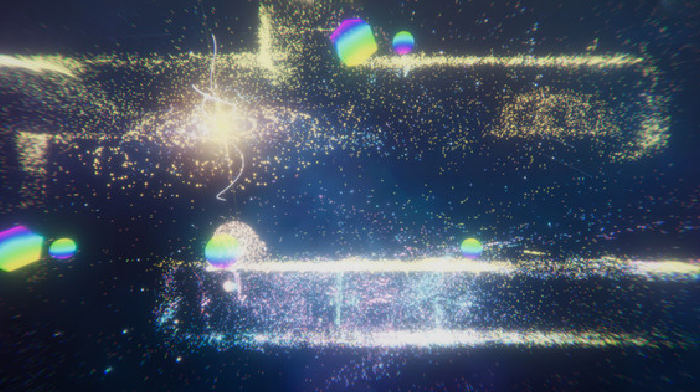 Sparticles is a 2.5D platformer that uses beautiful colored particles to discover your environment. Hands down the best 2D platformer kit. The Corgi Engine is amazing. Hands down it's the most feature-packed, fastest way to get started on your own 2D Platformer game. The code is extremely well-documented and the author is very good about updating it and communicating with the developers using it. Fantastic price for everything you get with it. Also, the corgi is adorable. If you are new in the Unity world, this is your asset. It has almost all what you need to create your game, a big amount of resources and scripts that are perfectly commented. Only changing the sprites you will have your own game working. The code is so simply and clear that you can find all so easy and add more without any problem. The asset includes some Demos to show you all you can do with it, with a beautiful look and simply to understand. I'm using it to make my 2D game for Android, and it has saved me thousand hours of work, and it has given to me a way to learn about Unity and C#. Apart from Android, CorgiEngine is multiplatform, meaning that you make your game and you export it to PC, Android, Xbox, etc.. And control the character with a GamePad! Also and so important, the support of reuno is amazing, 24/7 (practically =O) to help you with your doubts or suggestions. In conclusion, if you are looking for something to help you to create a game, buy it. Even if you are new in Unity or experimented, you will find it usefull and simply to use. Thanks for this amazing engine and your work reuno. Keep improving it and helping us as you do. Best asset I've ever purchased! The Corgi Engine is an essential asset for 2d platform games in Unity. The feature list is really incredible and if you don't see a specific feature that you require for your game, take a look at the development roadmap! Chances are that feature you need is being worked on! As great as this asset is, the best thing about it is the detailed feedback from its developer. I had some small issues with adapting my own game with some of the elements of this engine and I wrote to the developer. Within same day he sent me a detailed response trying to help me resolve my issue and emailed back and forth with me regularly. Within a few days all of my issues had been fixed. If you are trying to choose between the many 2d platformer toolkits available on the Unity Asset Store, pick this one! You will not regret it!